According to reports, the festival - which was dubbed Oldchella - will not be taking place this year. Desert Trip will not be taking place for the foreseeable. 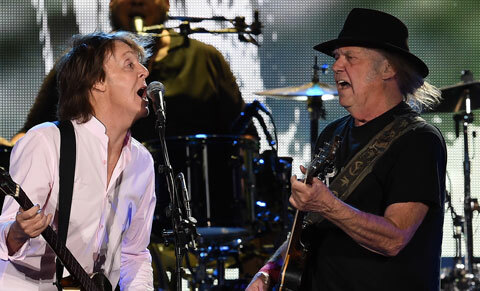 The California event, which was dubbed "Oldchella" and was launched just last year, featured performances from legendary acts such as The Rolling Stones, Neil Young, Paul McCartney, Neil Young, Roger Waters and The Who. But, according to Billboard, Goldenvoice CEO Paul Tollett confirmed: "We're not doing Desert Trip this year". The Coachella founder and L.A. gig promoter explained: "We loved 2016 Desert Trip -- that was a special moment in time. Maybe someday in the future we'll do something similar." The news certainly casts doubts on the likelihood of a Led Zeppelin reunion this year, as rumours claimed Robert Plant and co. were set to play the event at the Empire Polo Club in Indio, California. While Led Zep may not be headed to Desert Trip this year, there's still a good chance they could one of the "really big" secrets planned for Glastonbury this year.